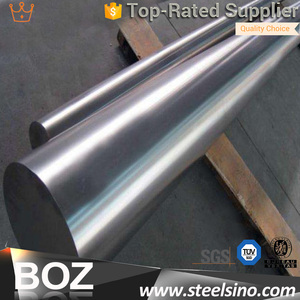 Shanghai Hengtie Steel Trading Co., Ltd.
To be the first supplier at customer's first thought when they need to order! We are waiting for your enquiry, please &ldquo; Click Here &rdquo; and send enquiry to us, thank you! Your payment is protected up to 100% of an amount - agreed between you and the supplier - called the Trade Assurance Order Amount. 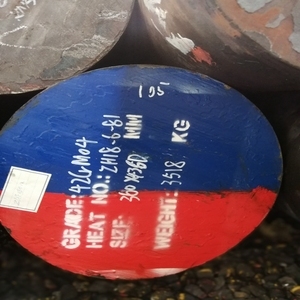 Dongguan Takford Special Steel Co., Ltd. 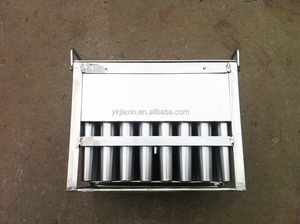 Stainless steel popsicle mold / ice cream molds/ice lolly mold Hot sale applicable for freezer, freezer tank and popsicle machine 1.Materials:stainless steel 304/2B or 316/L, Food class material. 2.Panel thickness 0.8mm,both inside and outside smooth 3.Cup thickness options are:0.55mm 4X10 Cavities. 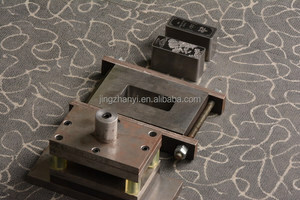 Robot welding on mold, plain surfaces ,do not accumulate residues, easy cleaning. BPA free. Dongguan Jichun Mould Standard Parts Co., Ltd.
Yantai Fangda Rotational Molding Co., Ltd.
Taizhou Amity Care Co., Ltd.
Snowball Machinery Tech Co., Ltd.
Packaging & Shipping - 1set per white box or color box according to customer's requirement - Standard export carton The top quality of our product can be comparable with the well-known companies such as Finamac,Hoyer,WCB,Polo,Gram,Laif,Teknoice and ect. Our company offers stainless steel(IOS304,316,904B and even more higher-quality materials)custom popsicle moulds such as Liner stick moulds,Rotary stick moulds and Manual basket moulds,style richly and providing customized services according to the drawings. We will be happy to give you a quotation upon receipt of your detailed requirements. Shandong Luli Steel Co., Ltd.
Suzhou Aomeifeng Hardware Machinery Co., Ltd.
Taizhou Huangyan Solidco Mould Co., Ltd.
We pursue long term and steady co-operation with our every successful clinet. After production, all the goods will be tested, and the quality certificate will be shipped along with goods. 8. 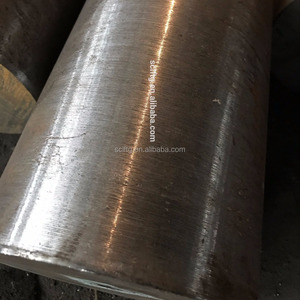 Choose the appropriate base metals for your needs We carefully balance quality, delivery time and price, procure various base metals from all over the world. Chongqing Xingbang Hengxiang Mold Co., Ltd.
Nanjing Keerda Mould Co., Ltd.
Alibaba.com offers 8,255 steel bar mould products. About 8% of these are moulds, 1% are plastic blowing machines, and 1% are mouldings. 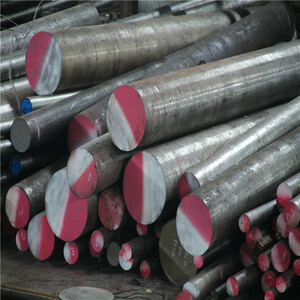 A wide variety of steel bar mould options are available to you, such as free samples, paid samples. 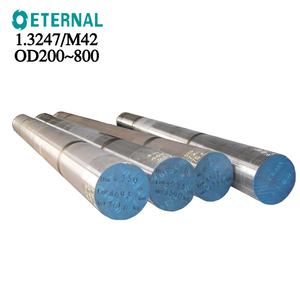 There are 8,265 steel bar mould suppliers, mainly located in Asia. 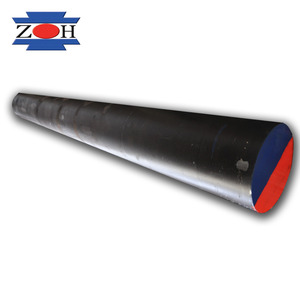 The top supplying countries are China (Mainland), Hong Kong, and Taiwan, which supply 99%, 1%, and 1% of steel bar mould respectively. 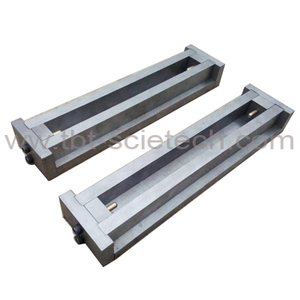 Steel bar mould products are most popular in North America, Domestic Market, and Southeast Asia. You can ensure product safety by selecting from certified suppliers, including 2,757 with ISO9001, 554 with Other, and 157 with ISO14001 certification.